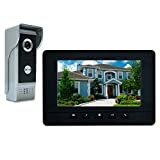 With the increased crime rate and tight work schedules, it is hard to debate about the importance of equipping your home with the best video doorbells. These innovative devices are not only designed to view who is your doorstep but also interact with them. They also play a major role in improving your home’s security especially when you spend a lot of time at work or travel a lot. 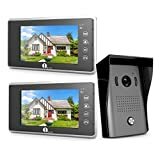 Besides, these devices also come with other smart technologies such as motion sensors and night vision that alerts you when there is suspicious activity at your doorstep. With plenty of video doorbells on the market, it can be challenging to find the ultimate choice that meets your needs. Below is a detailed guide, reviewing the best models on the market. Take your time to go through each model before settling on the model that suits your needs. 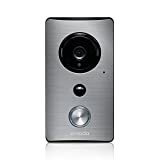 Zmodo Greet Wireless Video Doorbell with Beam Wi-Fi Extender - Cloud Service Available. With Zmodo Smart Greet doorbell, you can see, speak, and hear your visitor on your Smartphone regardless where you are. You no longer have to worry about the deliveryman as you can instruct him where to leave the package when you are not at home. 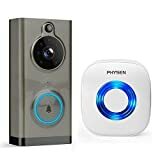 This doorbell comes with smart motion detection, HD video, a cloud playback as well as real-time alerts that allows you keep your home under your watch whether you are at home or on the go. 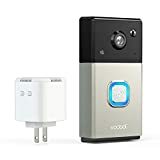 Boasting with so many cool features, this doorbell from Vodool is an absolute winner when it comes to selecting the best video doorbells on the market. This doorbell is equipped with an HD video and wide-angle camera that allows you see clearly, what is going on at your door. This doorbell doesn’t only work well at daytime but also comes with infrared night vision that captures every event day and night. Boasting of a modern and elegant design, this video doorbell is an excellent addition to any home. Similar to the other models from this manufacturer, you can speak, hear, and see to your visitors whether you are at home or not. You will get a real-time alert when a visitor pressed the doorbell and in case you miss it, it will capture the visitor. Another reason why many people prefer this model is that it is compatible with most devices that use various operating systems including windows, iOS, Mac as well as Android. Imagine a situation where your best friend or relative comes to visit only to find you not at home? Well, this doesn’t have to be a problem anymore as you can now give them access to your home from your phone. This innovative doorbell allows for a two-way communication and clear HD video that allows you to chat and see your visitors. Thanks to the infrared technology, you can also monitor your door even at night. 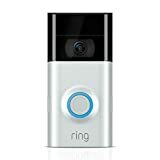 This is yet another high quality and efficient video Doorbell from Ring. Installing this device will ensure that you will never miss your visitor at your doorstep. Besides featuring an innovative design, this model comes with impressive features that will enable you to speak and see your visitors from your PC or Smartphone. 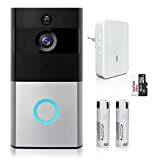 Besides offering you the convenience of letting your friends or relative inside your home even when you are away, this will enhance your home’s security, day and night. 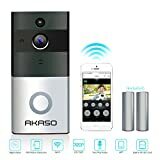 Created with an aim of improving your home’s security, this doorbell from AKASO will ensure that you are aware of every activity at your doorstep even if you are not at home. The doorbell also comes with a beautiful design that makes your home stand out. Featuring Wifi connectivity, this doorbell will let you view your visitor on your Smartphone as well as other devices that connect to the internet. When looking for the best Video Doorbell, you should ensure that it has an HD camera with a wide viewing angle. This model boasts of one of the largest viewing angles, ensuring that you get to see everything going on at your door. The doorbell also connects to the WIFI allowing you answer the door from any place. Besides sending you alerts when you have a visitor, this doorbell will record and save a video clip when there is motion at your entrance. Featuring a modern and sleek design, dimmable display, high-quality sound and sixteen selectable doorbell tones, this model from AMOCAM offers the users with more convenience on a daily base. Some of the other unique features that come with this model include aluminum and acrylic front, large viewing angle, as well as IR LED projection that provide clear images day and night. You can now enhance the security of your home by equipping it with this doorbell kit from 1byone. This is a perfect choice for individuals who travel a lot or you would want to monitor your home at work. With this innovative device, you can actually see, hear, and speak to the visitor regardless of whether you are in or not. Thanks to the infrared vision, you can also monitor your home even at night. This doorbell from Zmodo will connect remotely to your home WIFI and enable you to view who is at your door on your Smartphone. The doorbell comes with the Zmodo bean that helps extend the WIFI range and decrease the dead spots. The doorbell also comes with an HD camera with a wide viewing angle to ensure that you do not miss any details. Additionally, this doorbell also comes with night vision sensor as well as adjustable sensitivity that allows you to monitor your home even in a dark environment and at night. Read more about the security camera reviews.